Comfortable full sleeves night suit for your little one from Doreme. Trendy printed shirt and pajama makes the set look stylish. Collar neck adds elegance of style to it. 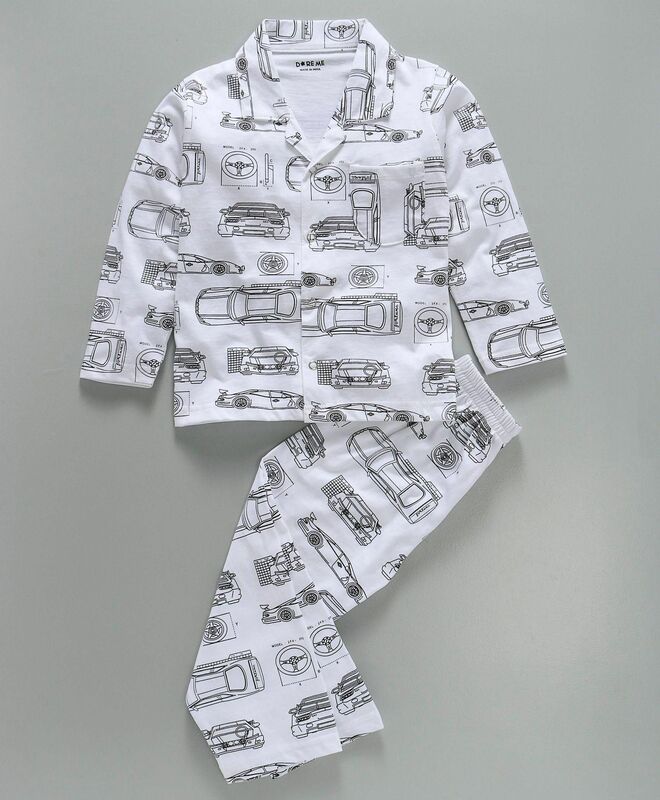 Snap button closure of the shirt and soft elasticated waist pajama ensures fuss free dressing. Made from soft fabric for maximum comfort all through the night.